2018. 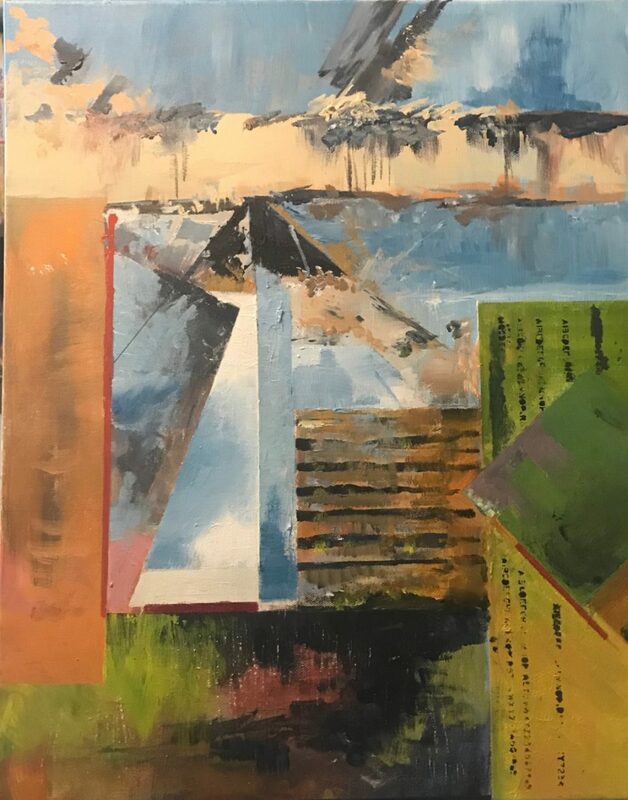 Acrylic on Canvas	,	20" X 16"
This acrylic painting is 20" X 16" and represents the site by showing the dilapidation of parts of El Tajin coupled with the clarity of the pyramid. I wanted to show more detail without compromising the composition and the intelligence of it. There are 365 niches. The pyramid is one of many buildings making up El Tajin. My wife and I explored the ruins of a formidable city at El Tajin, an archaeological complex and World Heritage Site. The well-preserved city was one of the biggest and most culturally important during the Classic era of Mesoamerica. At the height of its powers, between 600 and 1200 AD the majority of the temples, palaces, and pyramids were constructed. We admired the artistry of the carvings on the main temple, showcasing decorative techniques unseen in other contemporary cultures in the region. 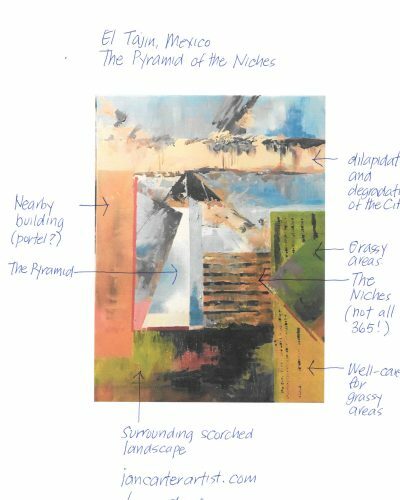 Feedback for "El Tajin Pyramid of the Niches 2"
Purchase Inquiry "El Tajin Pyramid of the Niches 2"